The Youth I.D.E.A.S. 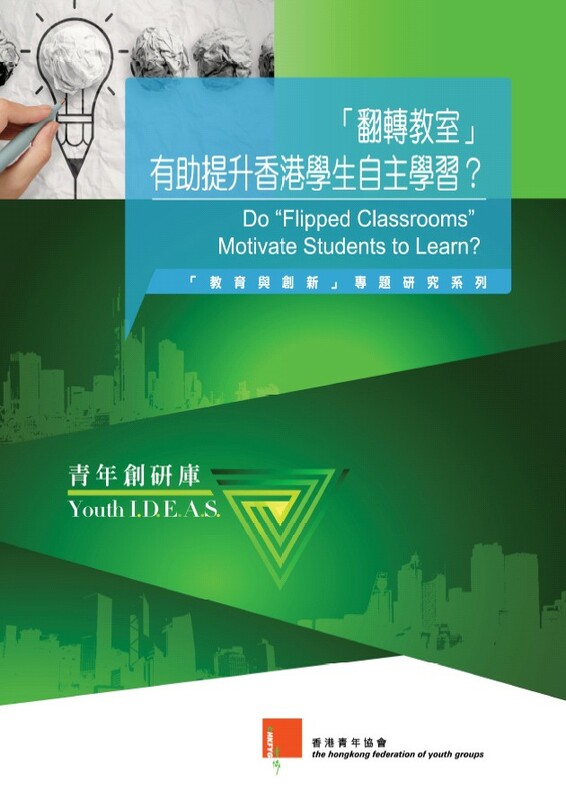 has released its eighth study on “Do Flipped Classrooms Motivate Students to Learn?”. The Study found that 995 respondents generally believe that they only have fair self-directed learning ability, with the average score of 5.58(10 being the highest score). According to the survey, among 423 respondents having experienced “Flipped Classrooms”, over half of the students (52.1%) believe that “Flipped Classroom” is able to enhance students’ self-directed ability. When comparing before and after, “Flipped Classroom” has facilitated students’ learning effectiveness in various aspects, including: contribution in classes (48.4%), growing interest in the subject (40.9%) and understanding the learning target (40.0%). Moreover, the confidence to ask questions in class has also been upgraded (31.2%). Some students revealed that learning through “Flipped Classroom” is more interesting and more interactions during lessons can increase their learning interest. Also, using visualized methods in teaching can allow students to understand more and facilitate their knowledge memory.